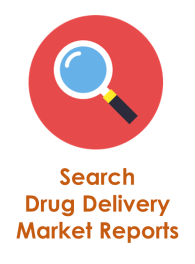 Drug Delivery | Market Research Reports® Inc. The overall understanding of drug delivery is the process of delivering a drug to a living body that is intended to achieve the therapeutic effect. Most common practices of delivering the drug to an affected area are oral, nasal, sublingual, ocular, rectal and inhalation; many drugs cannot be delivered through these methods, so there are practices that have a complete different practices altogether as they are not susceptible to enzymatic degradation; thus, creating the need to use needles for injecting the drug into the system. Injectable drug delivery is the system of delivering the drug to the specific part of the body, and syringes are more common devices used for this procedure. Some of the procedures include, Drug Eluting Stents, Metered Dose Inhalers, Sustained Release, Needle-Free Injectors, Nasal Sprays, Transdermal Patches, Nebulizers, Auto-Injectors, Infusion Pumps and Ocular Implants. 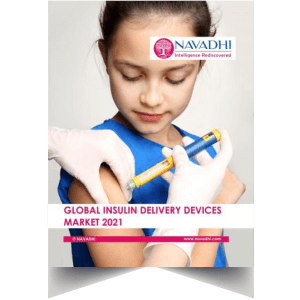 The Global Insulin Delivery Devices market is to grow at a CAGR of 7.19% from 2017-2021 and reach USD 16.83 billion in 2021. 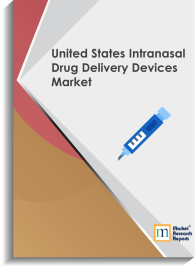 There is an increased demand and growth in the drug delivery industry with the particular demand being for oral, parenteral and injectable drug delivery systems. The US market for drug delivery industry alone is expected to reach US $135 billion by 2015 with a raise of approximately 9% every year. The fastest growth is projected to be of implantable drug delivery systems as the development and advancement in sophisticated designs and reduced risks factor is allowing the healthcare industry to migrate towards them. Depending upon the concentration and appropriate diagnosis, drug delivery system limit side effects, and often necessitate fewer dosages and facilitates the improving of diseased tissues, cells while leaving the rest of the area around untouched- the best example can be given of cancer treatment and particularly of stem-cell treatment. With innovation, drug delivery systems are continuously bringing newer and improved versions and formulas that are used to treat various illnesses and diseases. Drug delivery systems are protected and patented; this makes them highly intellectual properties and requires licensing for production in mass numbers for large supplies. Technological assistance is greatly required for the advantageous qualities such as accurate and precise data and reports, modern day devices, functionalities and personnel being tech-savvy, the growth for drug delivery industry is projected to be excellent. In the last decade, the demand for drug delivery systems has shot up rapidly and the increasing demand is due to the increasing number of patients and diagnoses recorded for Cancer and Diabetes. The biggest contributor to this system is the advanced technology that has not only contributed in terms of minimizing efforts, reducing errors, but also growth in efficiency and innovation. Pharmaceutical corporations have widely prescribed medicines as there has been so much of improvement due to accommodation of technology and also to recover and maintain steady economics for the large spending in R&D, with whose help there came so many innovations and improved medicines. In addition, patients’ wellness has progresses substantially with ever improving mechanization and possibilities of massive breakthroughs in this field have propelled the drug delivery industry to a new height, and also in having an astounding growth in drug delivery systems for hormones and cardiology agents. The global market for advanced drug delivery system is expected to amount for the value of $196.4 billion by 2014 at 7.2% CAGR. The major players in the drug delivery systems are Aptalis Pharma Inc, Baxter International, Inc. Becton, Dickinson & Co, Pfizer, Merck, Catalent Pharma Solutions, The Dow Chemical Company, Johnson & Johnson Valeant Pharmaceuticals, Terumo Medical Corp., Schott AG, Owen Mumford Ltd., Antares Pharma Inc and Eli Lilly .